Nyle DiMarco is no stranger to posing in front of a camera. Ever since he stole our hearts (and libidos) by winning Season 22 of America’s Next Top Model, DiMarco has been everywhere, from high-fashion editorials and runways to appearing on Hulu’s Difficult People and winning Dancing With the Stars. 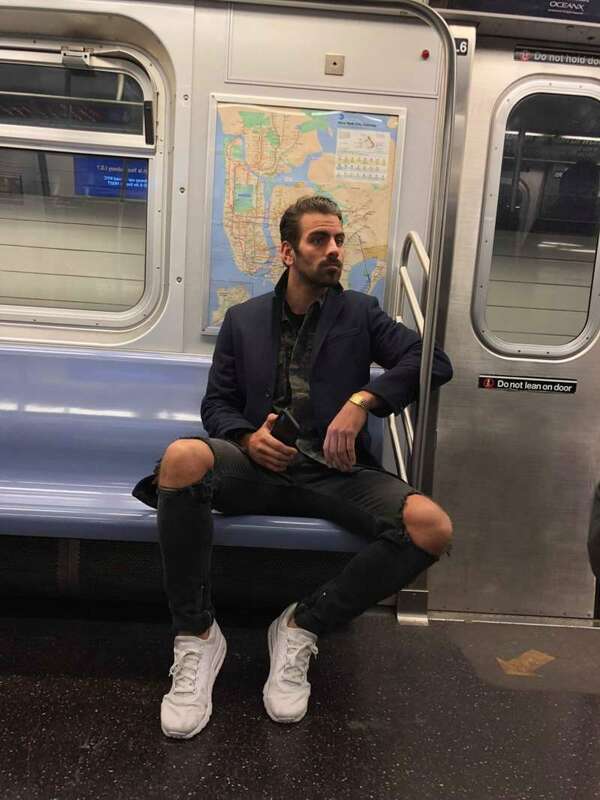 Now, most recently, Nyle DiMarco has showed up on one random New Yorker’s cell phone. 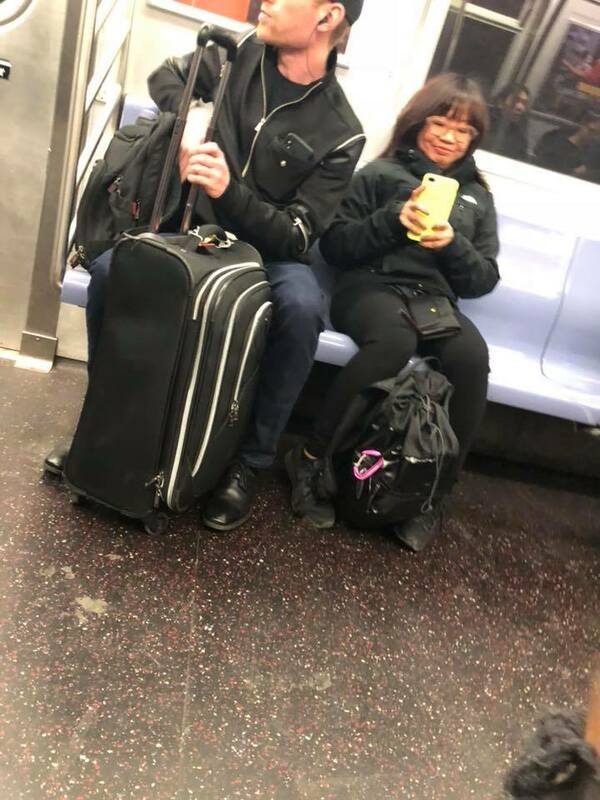 Queens native Loiba thought she could get away with secretly snapping some photos of Nyle DiMarco on the subway, but the resulting incident made us love the model even more. DiMarco responded, “Yes, I knew you were taking pics of me. Thank you, love!” But what Loiba didn’t know is that he had also taken a photo of her taking pics of him. And Loiba is pretty much making the exact face you would expect to make when staring at Nyle DiMarco from a mere five feet away. Oh and in case you do ever run into our favorite world-class model, forget snapping photos of Nyle DiMarco and instead opt for approaching him using these signs. Who knows, maybe you’ll end up in his phone’s photo gallery, too. 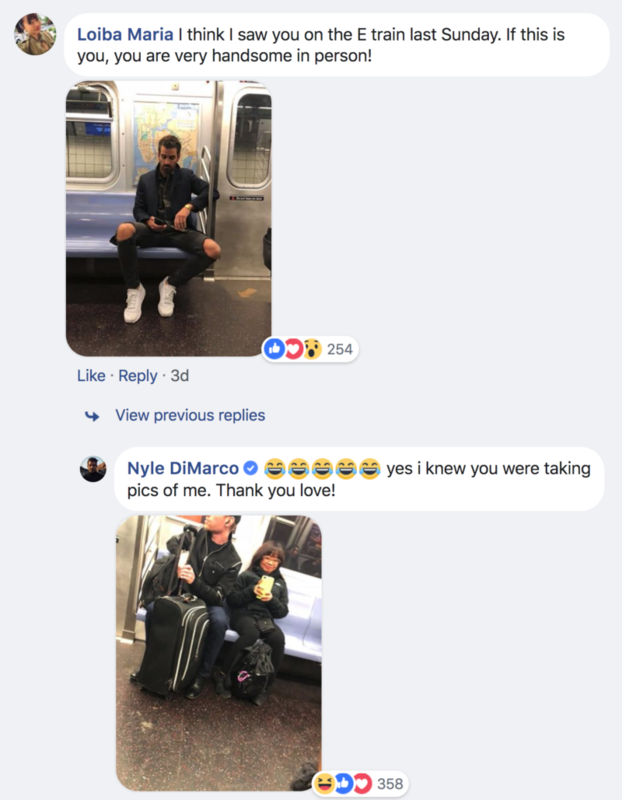 Would you sneak photos of Nyle DiMarco if given the chance? Sound off in the comments section below and let us know.